True to its name, Tuxedo offers an elegant, haute couture twist to any room. 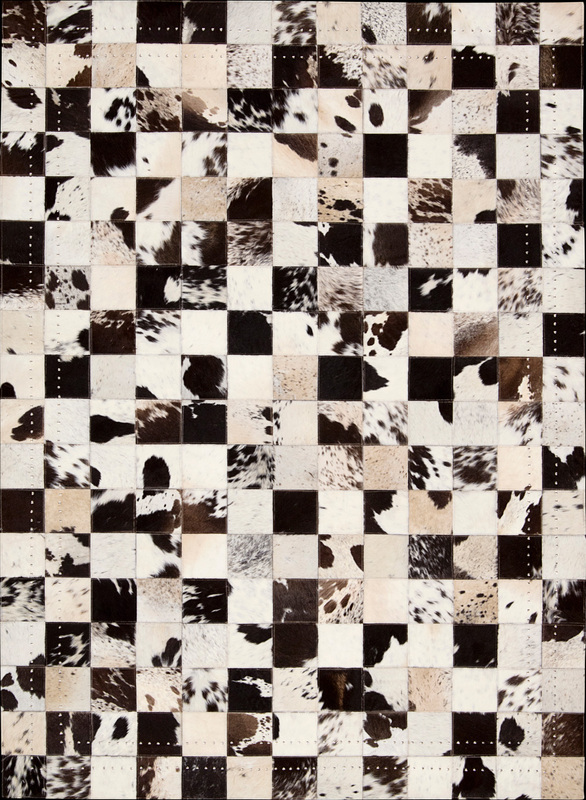 Fabulously fashion forward, this natural hide-hair rug make a strong style statement. The random checkerboard pattern gives a classic look a modern makeover with its vivid textural effect. A double metal stud border finishes off this edgy look with an industrial-chic edge.